We have offices at Penrith in Sydney and at Southbank in Melbourne and offer our services to businesses located throughout New South Wales and Victoria. We provide reports that are tailored to your needs. For example, a detailed formal report can be prepared for legal purposes. On the other hand, if you are simply deciding on whether or not to sell your business, a shorter, less formal report can be provided. It is our aim to prepare robust, independent reports that take account of the broad range of factors that affect value. We strive to produce reports that follow logical reasoning, are supported by evidence and comply with the relevant business valuation standard APES 225. 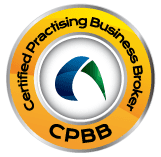 As business brokers, we sell and value businesses on a day to day basis. As such, we are in tune with the real selling prices that are being achieved in the marketplace. Many other professionals offering valuation services rely almost exclusively on theoretical approaches. 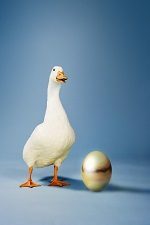 By using a broker to perform a business valuation, the resulting report is likely to take into account both real life business sales data and theoretical approaches. As such, the resulting valuation is more likely to be defensible and to reflect the market value of the business. Our main valuer, David Ferraz, has been accredited as a Registered Business Valuer by the Australian Institute of Business Brokers. Call us on 1300 922 088 or contact us now on to discuss how we can help you with your business valuation requirements. Click the button below to view the steps in our business valuation process.